Supernatural focuses on the brothers when Dean is hexed by a Witch and slowly starts to lose his memory. Stand-alone character driven episodes are definitely a welcome diversion now and again. This show started with Sam and Dean so it’s always good to give them an opportunity to have an old school adventure that doesn’t bring the larger cast of characters into the mix. Supernatural has always been really strong when it does comedy. The writers area really sharp when it comes to crafting a light hearted comedic episode and the actors have excellent timing. Dean routinely takes on the role of the funny one and Sam embodies the straight man so it’s a natural routine that takes advantage of their chemistry. This episode definitely goes down the comedy route by playing Dean’s memory loss for laughs. There are some nice touches such as him being slapped by a woman for forgetting her name which he would possibly be guilty of under normal circumstances and the general assumption that he had an “epic” night drinking. 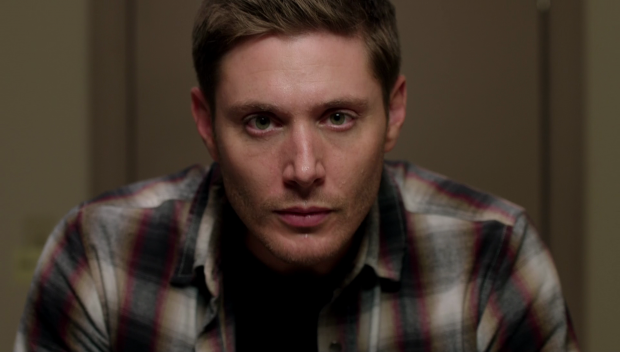 Jensen Ackles completely nails these moments after years of practice playing Dean reacting to insane situations. The look on his face as he rides a mechanical bull fills me with endless joy. There are other good moments on top of that such as Sam having to tell Dean that the supernatural is real and Dean believing it instantly. It’s completely in character for him to accept this and the mention of them having the “coolest job ever” was great. His reaction to finding out their best friend is an Angel named Castiel is hilarious as well. Interestingly the more serious implications of his memory loss are also dealt with. There’s a particularly effective scene where he stares into a mirror repeating his name and facts about himself to try and stop the information from leaving his head. Ackles is brilliant at conveying the fear and uncertainty felt by Dean through his facial expressions and swiftly breaking voice. It’s rare to see this vulnerable side to Dean as he typically takes everything in his stride but completely losing his sense of self causes him to feel lost and alone. The merits of the situation are also discussed. Considering all the emotional baggage built up over the years there is a certain appeal to forgetting everything and starting again. It’s probably the only way that Sam and Dean could walk away from their lives as Hunters at this point. The episode doesn’t spend a lot of time on it but it is mentioned and considered for a short time. 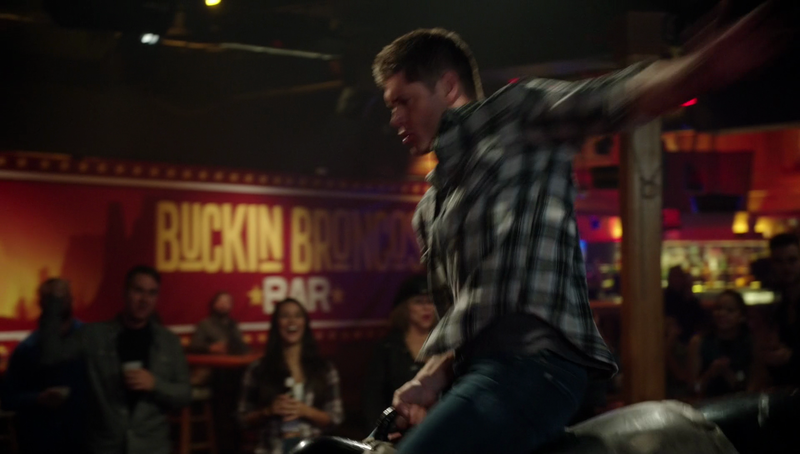 This definitely isn’t the way to do it as eventually Dean will forget to do the most basic things and that will cause his death. Since a Witch is involved that means Rowena is the best source of help. I probably don’t even have to say how irritating that is for me as I will never be happy with Rowena’s involvement in an episode. 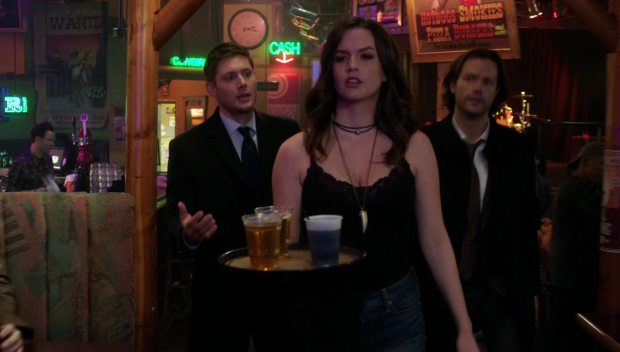 Her point about starting again with no memory is interesting enough and seeing her treat Dean like a child was fairly amusing but as always I don’t like the character. I did like her heart to heart with Dean where she used his lack of memory as an excuse to open up about her past which did allow Rowena to appear more well rounded than she usually is. It turns out that she has a beef with the British Men of Letters as well which will definitely come into play in the coming episodes. Her connection to the Witches involved could have added extra weight to the episode but it’s something that comes in too late to make any real difference to the episode. Catriona Loughlin (Tirra Dent) was pretty over the top as villains go but she had enough of a presence to create some entertainment. It did feel like there was potential in her interactions with Rowena but they don’t amount to anything. Rowena should have had no trouble with her considering how powerful she is supposed to be at this point. Having Dean end up saving the day after following handily placed post it notes that lead him to Sam was a really satisfying way to end the episode. It shows that his instincts are still razor sharp even though his memory is failing. More could have been made of him not remembering Sam and deciding who to shoot at the end of the episode but it was a cool sequence and allowed Dean to start reclaiming what defines him. Riding that bull, not a care in the world! There are no real consequences to this story as Dean claims to forget the heart to heart he had with Rowena and there are no other lasting consequences. Beyond the odd mention of the season arcs going on there is no forward movement either. It’s a fine disposable episode that is a bit of fun. A fun episode with no lasting consequences or bearing on the season as a whole. Dean’s memory loss is played for laughs with the serious implications also being considered at the same time. Jensen Ackles delivers the comedy and the vulnerability perfectly when he needs to and the points made about the loss of the sense of self are interesting enough. 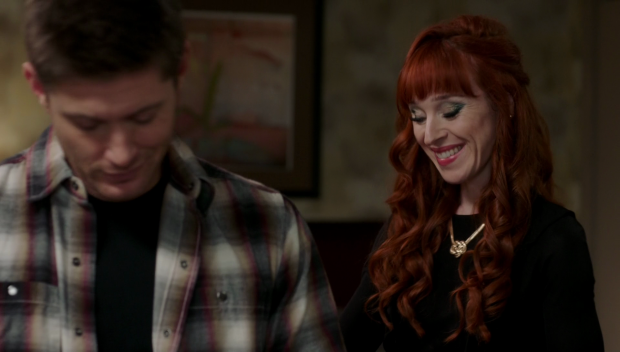 Rowena being brought in isn’t something I’m ever going to be happy with but having her open up to Dean about her past delivers an interesting insight into her and sets up her beef with the Men of Letters. Her connection to the Witches could have added extra weight to the episode but it comes too late for anything to be properly developed. It’s basically a disposable episode that doesn’t impact the rest of the season but allows the characters to have some fun and passes the time in an entertaining way. Sometimes that’s enough.